Just Listed!!!............. Welcome home to this beautiful, single-story Ranch Style Pool Home! Featuring a gorgeous A-frame Cabana Style Covered patio with multiple ceiling fans and entertainment system. Perfect for entertaining and enjoying the summer evenings relaxing by the pool!! Home features a foyer entry that opens to a large, open floor plan, sunken formal living room, and dining room, featuring beautiful wood flooring. Spanish inspired Kitchen with breakfast nook opening to a dinette and brick f Just Listed!!!............. 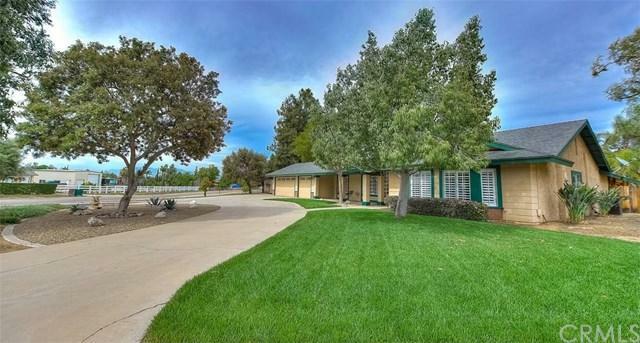 Welcome home to this beautiful, single-story Ranch Style Pool Home! Featuring a gorgeous A-frame Cabana Style Covered patio with multiple ceiling fans and entertainment system. Perfect for entertaining and enjoying the summer evenings relaxing by the pool!! 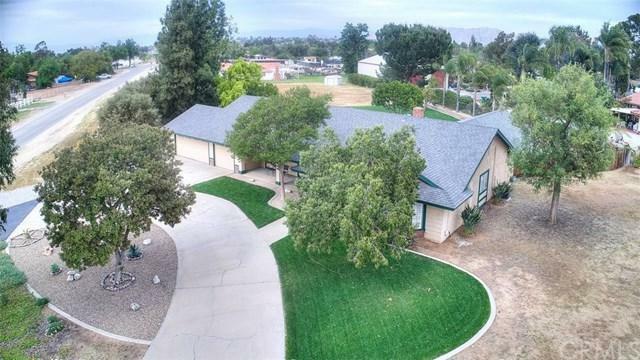 Home features a foyer entry that opens to a large, open floor plan, sunken formal living room, and dining room, featuring beautiful wood flooring. Spanish inspired Kitchen with breakfast nook opening to a dinette and brick fireplace accented family room. Individual laundry room with storage and utility sink. You will immediately feel at home the moment you see the view of the Cabana, pool, Fire Pit and landscaped backyard which can be viewed from the kitchen, family room, and Master-bedroom. 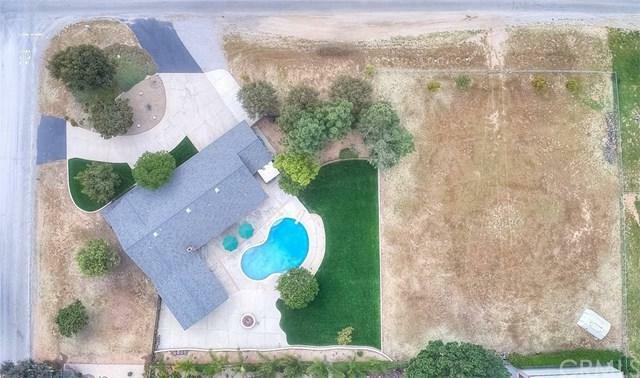 Let's not forget the additional features this beautiful home has ........circular driveway, corner lot, Horse property zoned all on 1.06 acre lot with lots of room for RV's, Boat, Toys and animals or add Granny Flat!!!! Conventional Septic, No HOA, low Taxes!!!! Country living at its finest with the convenience of all the City amenities. And..... Highly rated Schools!! !